April 2 is no April Fool’s Day. A lovely layer of real snow covered Lower Minnesota. 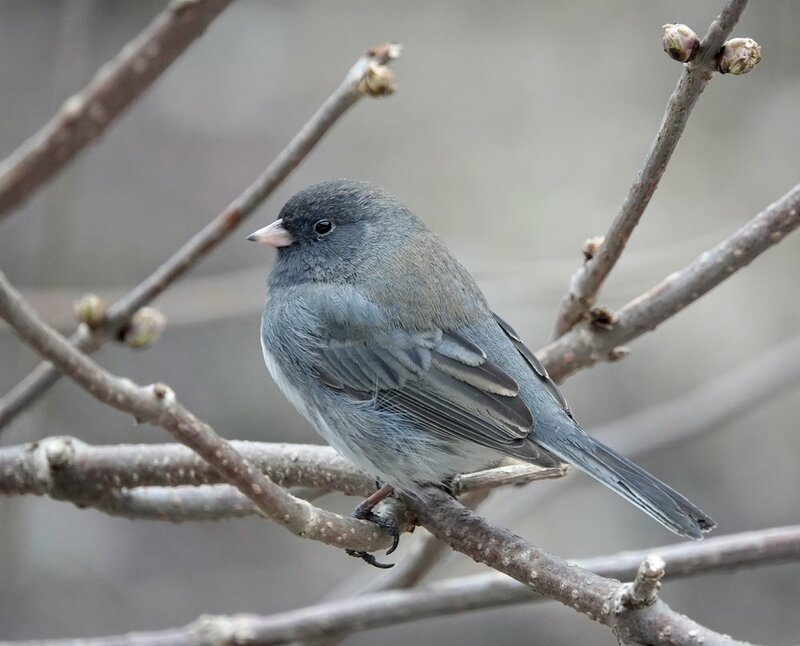 Anne Murray sang “Snowbird.” It was a hit, but was she singing of a junco or a snow bunting? A common grackle puts a lot of effort into singing like a common grackle. This grackle isn’t nesting in an odd place. This is how a one-legged grackle forages.